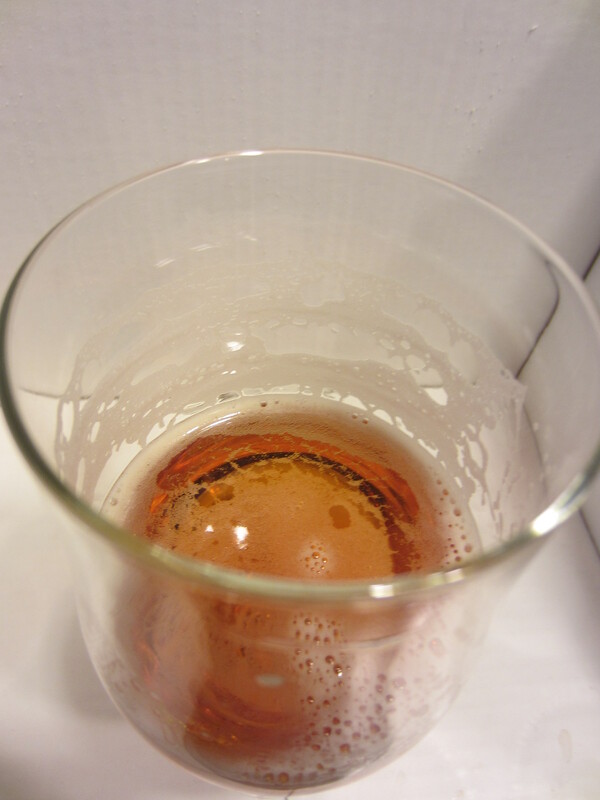 Poured from a 12 oz bottle into a stemmed ale glass. 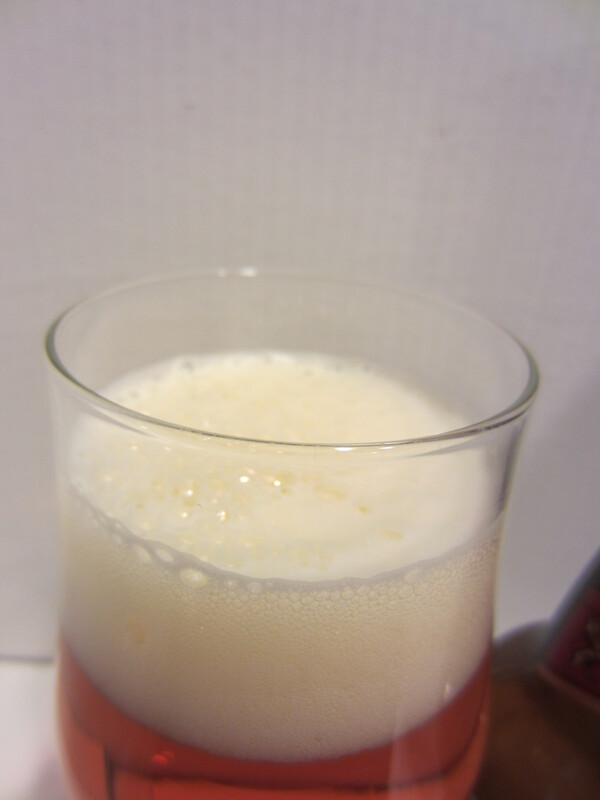 The color is a remarkably clear coppery orange, with mild carbonation visible. The head is off-white with an orange tint, and leaves good lacing on the glass throughout. 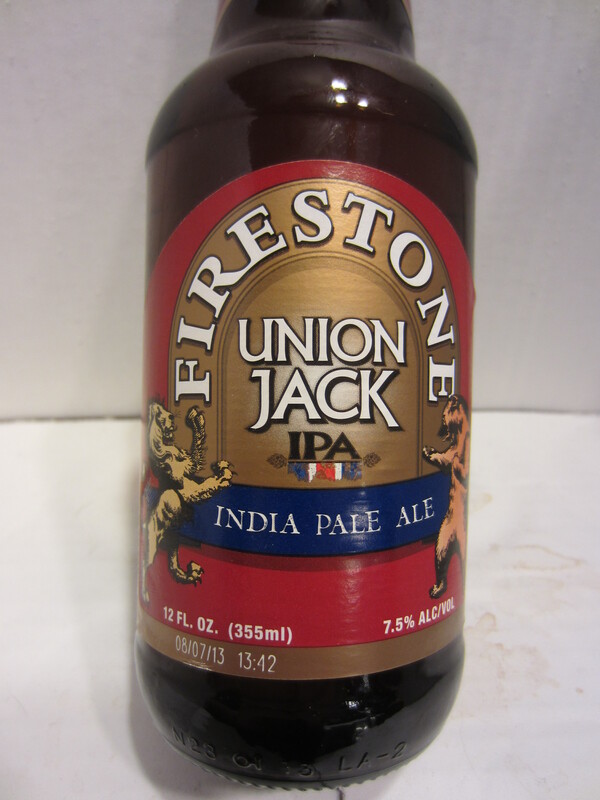 A solid combination of hop aromas – in order from strongest; tropical fruit citrus, floral, and a bit of pine. I also get a bit of an earthy/grassy smell, as well as underlying caramel malt sweetness. Medium bodied, with noticeable carbonation crispness going down. 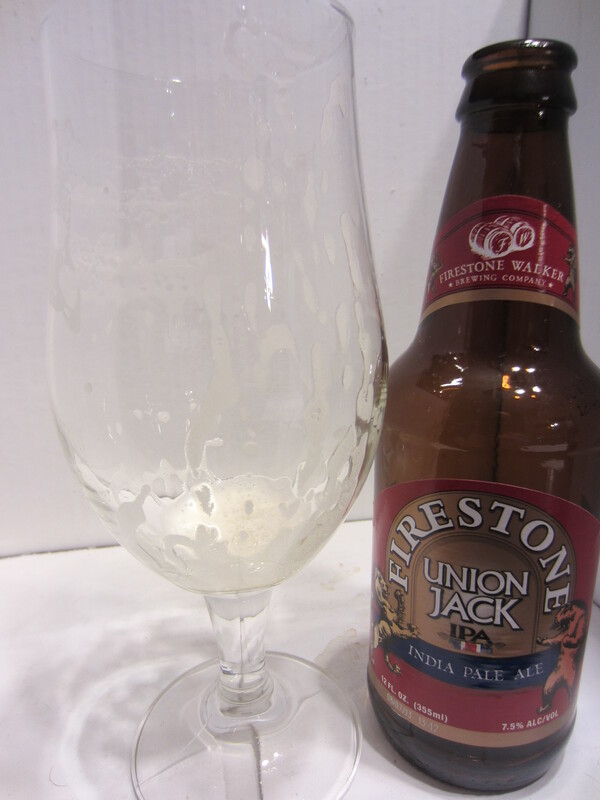 Union Jack has a very hop forward flavor that matches the aroma; tropical fruit citrus and floral hops being predominant. The underlying malt sweetness really takes a back seat to the hops. The finish is crisp and dry, with sharp lingering grapefruit bitterness lingering on the tongue and palate. This particular bottle was the last of a six pack I picked up a couple of weeks ago, and I’ve found this to be a very good session/any occasion IPA. It is on the large side for a standard IPA at 7.5% ABV, and you can tell when you drink it. The flavor definitely isn’t tame, and that’s really a good thing. The double dry hopping really imparts a strong array of flavor. I wouldn’t mind having some of these on hand for non-review drinking, as they make a great everyday IPA. If you’re not scared of the bitterness of a hop forward IPA, definitely pick on up. 8.5/10. This entry was posted in IPA. Bookmark the permalink.